The festival showcases contemporary films and videos from Latin America (North, Central, South America and the Caribbean) and the Iberian Peninsula. Films and videos made by or about Latinos in the U.S. or the rest of the world, as well as films and videos by or about indigenous groups of the Americas are also invited to participate. Here in Texas, Cinco de Mayo is no joke. And in Austin, we put on tons of events and parties each year celebrating Mexican culture, music, food and more! This year, stop by Pelóns for tequila tasting, The Belmont for music from local Latin funk band Grupo Fantasma, Whisler&apos;s for a mezcal-infused cocktail or Fiesta Gardens for the annual Cinco de Mayo Festival (5/7-5/8). Check out the rest of our picks for Cinco de Mayo in Austin at the Austin Insider Blog. The O. Henry Museum&apos;s annual Pun-Off is Austin&apos;s punniest event by far. 64 punsters will go head-to-head in this humorous wordplay competition, taking place in the backyard of Austin author William Sydney Porter&apos;s (also known as O. Henry) historic home. This fabulous annual music festival fuses the tradition of the Kentucky Derby (hats, bowties and all) with Austin&apos;s vibrant live music scene. Come out to see the Derby on the jumbotron while enjoying tons of food and drink vendors and raffles to the tune of local Americana, indie and roots rockers. This wacky annual event showcases what "Keep Austin Weird" is all about. 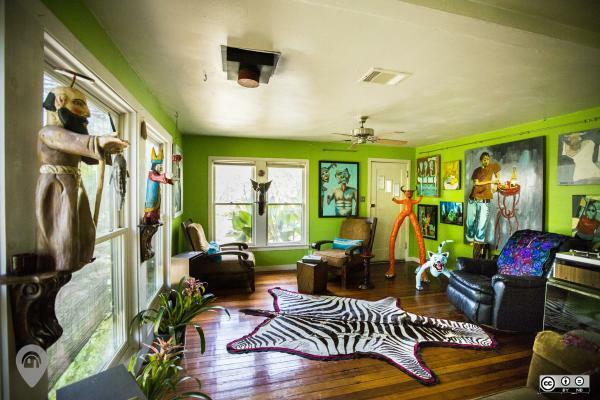 Tour a selection of the most creative homes around town and meet the homeowners who keep our wacky culture thriving at the VIP after party at east Austin art studio and community space, Canopy. A free, family event, the Pecan Street Festival is the oldest and largest art festival in Central Texas. Local musicians, food vendors, artists and crafts people turn Sixth Street - historically called Pecan Street - into a lively street fair where there is something for people of all ages. This is a great event for anyone wanting to try a taste of Austin&apos;s booming culinary and craft cocktail scene. Local bars go head-to-head in this annual competition, serving up the 2016 Official Drink of Austin. To top off the night, bites will be provided by a selection of Austin&apos;s top chefs and local DJ uLOVEi will provide the entertainment. Historic and hip Austin come together at this family-friendly neighborhood event. Live music, cold beer, fried chicken (courtesy of Lucy&apos;s) and more make this a can&apos;t miss event for locals and visitors alike. Craft brew lovers won&apos;t want to miss the Austin stop on Untapped&apos;s annual festival circuit. Over 75 local, state and national brewers will be on site providing tastings and 6 indie acts will take the stage. Experience the best of the American craft beer scene along with Austin food vendors (Frank + Austin Beerworks? Yes please!) as the scenic Colorado River rolls by. What could be better? The West Austin Studio Tour is a free, self-guided tour that celebrates Austin&apos;s talented and wildly diverse creative community. The public is invited to discover new artistic talent, see working studios, learn about artists&apos; tools, techniques and inspirations, explore galleries and a variety of exhibitions, and immerse themselves in the arts and local business communities. Don&apos;t miss the 2016 kickoff for Blues on the Green, featuring a legendary lineup of musicians, restaurants and vendors. This annual outdoor music series is one of Austin&apos;s favorite summer traditions. Bring your kids, teens, pups and friends for this massive community party. And if you&apos;re not in town in May, don&apos;t worry - BOTG takes place once a month through August! 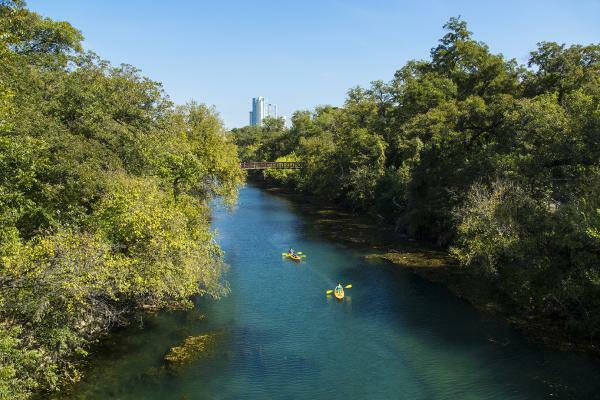 Camp, hike, barbecue, tube and chill – whatever you do, get out and make the most of this long holiday weekend in Austin. Check out our Memorial Day itinerary at the Austin Insider Blog.